It was only when Natalie came off the pill that she realised that she might struggle to conceive. 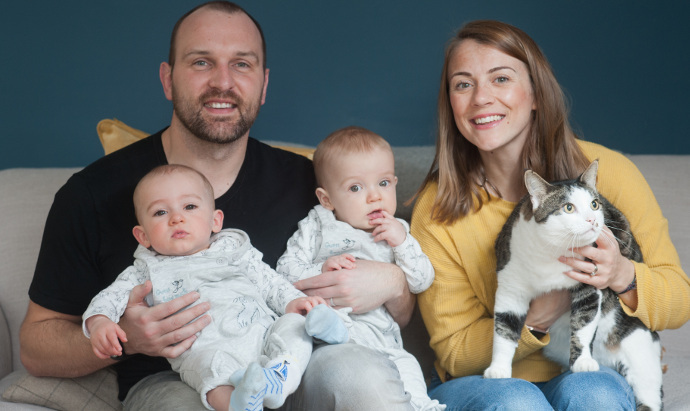 The couple were referred for IVF treatment when Natalie’s periods failed to return after she stopped taking the contraceptive pill and she was subsequently diagnosed with polycystic ovaries. 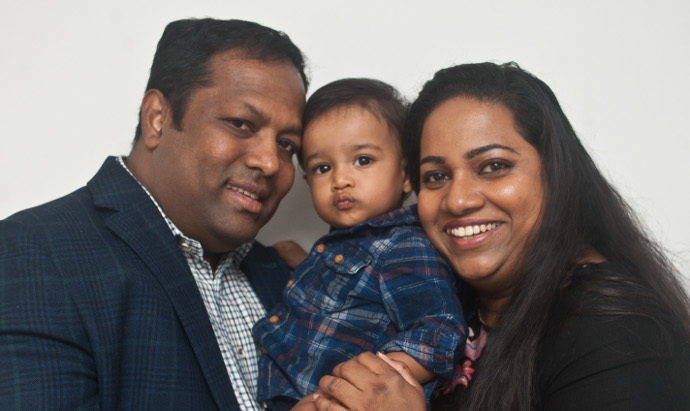 After two unsuccessful rounds of IVF Natalie and Neil were introduced to Dr Thanos Papathanasiou, Lead Clinician at Bourn Hall’s Norwich Clinic, who has extensive experience of treating women with PCOS and is a published author on the condition. One of the issues surrounding PCOS patients undergoing fertility treatment is that there is a higher risk of the woman producing too many eggs after taking the drugs designed to stimulate egg production immediately prior to treatment. 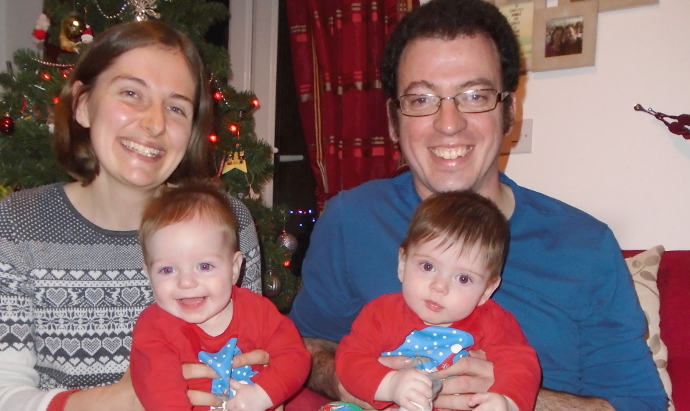 This is called ‘hyperstimulating’ and can have a very stressful effect on the body; Natalie had hyperstimulated during her first and second treatment. “During my third treatment I was given a trigger shot to take my hormones down to rock bottom to control the hyperstimulation,” says Natalie. 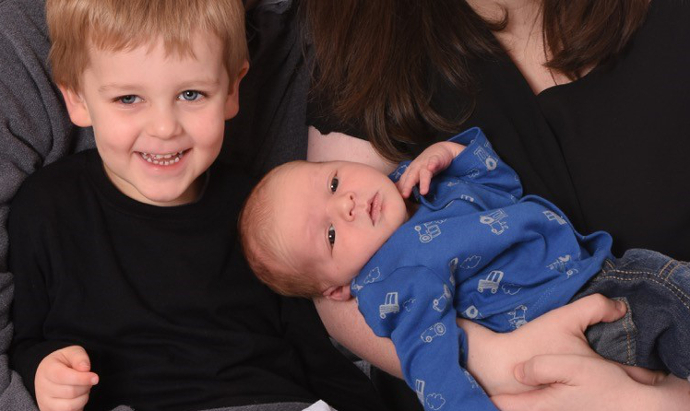 “Once my eggs had been collected I was given a bag load of tablets and had oestrogen patches to take my hormones back up again for the embryo transfer the following week. Endometrial scratching is a relatively simple procedure which makes a small scratch in the lining of the uterus to improve the implantation rate when embryos are transferred to the uterus. Although there is a lack of scientific evidence to prove that the technique makes a significant difference to treatment outcomes many clinicians have observed improved implantation rates. “I’d been a bit nervy and the night before I took the test my body felt different to the previous times,” she says. “I took the pregnancy test in the bathroom before going to work and nearly dropped my toothbrush when I saw the two lines, I had never seen a positive pregnancy test before. I just stood there frozen looking at it, I thought my mind was playing tricks with me. I took it in to Neil who was only waking up and when he saw the result his eyes filled up. 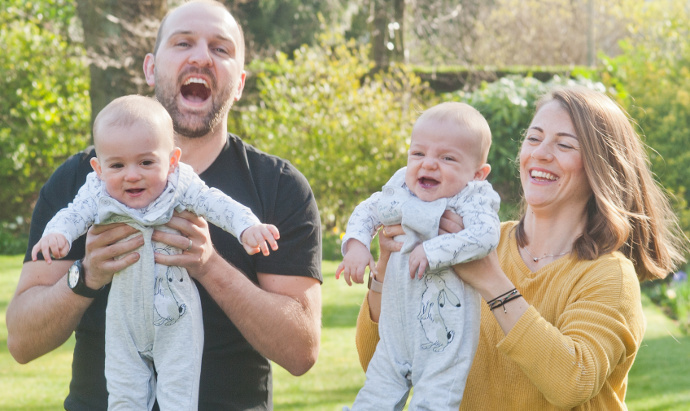 In May 2018 Natalie gave birth to her non-identical twin boys Freddie and George. Natalie and Neil were treated at Bourn Hall Norwich more information about this clinic.